Empty Glasses, Plates, Forks, Knives Serving For Dinner In Restaurant. 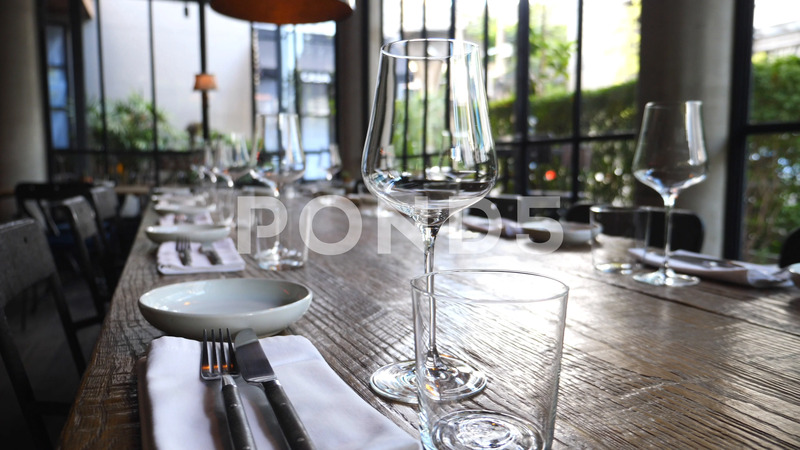 Description: Empty Glasses, Plates, Forks, Knives Serving For Dinner In Restaurant. Table Layout. Serving. Closeup. 4K.